Here's some great entrepreneurship guidelines for creating valuable commercial partnerships. We worked hard to build these kinds of relationships in our businesses. My friend Joe from our Great Lakes Hubba Hubba food group sent a link to a really good doc I put to use right away. The title is 'Value Chain Best Practices: Building Knowledge for Value Chains that Contribute to the Health of Source Communities'. The subject of the paper is building effective 'value chains'. This is a term or art that improves on the old idea of exploiting and extracting profit from your suppliers, those in your 'supply chain'. The value chain approach is to make all links in the chain increasingly sustainable and valuable to all the other links. I'm utilizing this model to help the Wisconsin Innovation Kitchen become valuable commercial partner to new and emerging food businesses. I doctored their graphic (above) for this post to highlight one specific stage: PILOT, at supply chain scale. This is exactly where the Innovation Kitchen fits into the emerging commerce of local food and regional food systems. It can pilot and produce local food processing at supply chain scale. 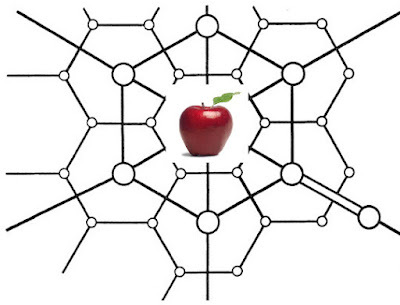 The data from our market based, real-time experiments in regional food processing will make this, and many emerging models of all kinds increasingly replicable. This capacity - this link - is helping build value chain partnerships right now. Today. • Preferential sourcing arrangements based on criteria (quality, scale, environmental practices, certification, etc). • Information and knowledge management mechanisms that support regular two-way communication and innovation. long term business management capacity. • Fair implementation of standards to ensure that the cost of certification doesn’t unfairly reduce access for smallholders and that producers participate in the development and implementation of standards. • Suppliers required paying for promotions or openings. 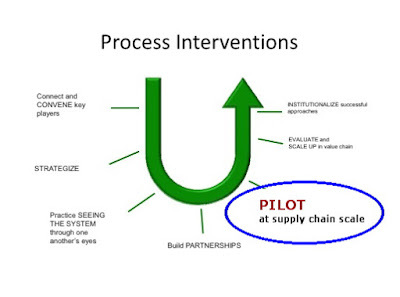 • Institutionalization of results: how can the learning from a value chain project ripple out from the specific chain to impact the core strategies of a large company and ultimately the whole industry? • Are there public policies that get in the way of the chain, or if changed may help it grow? Good directions for the many regional food systems now emerging. I look forward to helping this story grow. Download this summary from the larger Value Chain Best Practices report. Value Chain Best Practices: Building Knowledge for Value Chains that Contribute to the Health of Source Communities. Full article. Thanks to my friend Joe at HollyMead Capital for this valuable and timely addition to the conversation. Graphic borrowed and enhanced without permission from the final report. Thanks! "How to Get a Real Education. Forget art history and calculus. Most students need to learn how to run a business, says Scott Adams." "I understand why the top students in America study physics, chemistry, calculus and classic literature. The kids in this brainy group are the future professors, scientists, thinkers and engineers who will propel civilization forward. But why do we make B students sit through these same classes? That's like trying to train your cat to do your taxes — a waste of time and money. Wouldn't it make more sense to teach B students something useful, like entrepreneurship?" 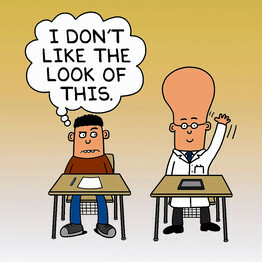 Image borrowed from the WSJ and Scott Adams. Thanks both. What if more people could buy into startups easily and inexpensively? One of the key hurdles for any kind of startup or growing business is access to capital. The web is proving out many new ways to make small loans available (I'm a Kiva member) but there is no legal way to use these same tools to sell equity ownership in an organization. Startups and small businesses can not solicit investments directly from most people without going through a costly Securities and Exchange Commission (SEC) registration. When my friend and recent business partner Dave and I started our manufacturing business we initially invested our own money and then small amounts from friends. When our business started winning awards and growing quickly, we needed to raise outside money from a larger circle. Because we could not afford the SEC registration, we were limited to soliciting investments only from accredited investors, which is a legally defined term roughly meaning 'wealthy enough'. We could not offer a chance to invest in our growing business through a general offering to peers in our industry, to our enthusiastic customers or to the significant audience of individuals who were looking to support green manufacturing and sustainable jobs. Offering a wide range of people a chance to invest small amounts of money with innovative new businesses would launch millions of new enterprises. Importantly it would grow a valuable new culture of entrepreneurship and ownership throughout our society. What if we could utilize social media and crowdsourcing to quickly and inexpensively assemble small, enabling funding streams to launch and grow new businesses and new jobs? I think our country needs to experiment with this starting yesterday. But we can't do it because of current SEC rules which are now about 80 years old. 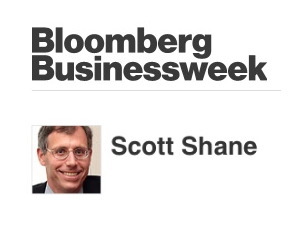 Bloomberg BusinessWeek just published an excellent article by Professor Scott Shane, award winning author and entrepreneurship researcher at Case Western University. Bloomberg BusinessWeek. May 3, 2011. By Scott Shane. "The SEC should change its rules to permit entrepreneurs to use crowdfunding to sell equity. The risk would be no greater to investors than that posed by accepted online lending models." "Every year venture capitalists and accredited business angels invest in only about 15,000 of the 27.5 million businesses in operation in the U.S., according to my analysis. Many new businesses being started in the U.S. every year could use small amounts of external equity. Analysis by sociologist Paul Reynolds in the Entrepreneurship in the United States Assessment, a survey of American adults undertaken in 2004, shows that a typical new business has only about $15,000 in initial funding, of which $6,000 comes from the entrepreneur." Why Not Exempt $100 Contributions? "Allowing entrepreneurs to raise equity online will impose no more risk on funders than they currently face lending money to entrepreneurs online. Last year the Sustainable Economies Law Center asked the SEC to exempt equity crowdfunding efforts of $100,000 or less, with no more than $100 to come from any individual. Allowing investors to purchase such tiny amounts of equity in other people's companies doesn't seem to impose a significant risk of financial loss on individuals." I'm very impressed by the logic of this argument and I'm excited about the possibilities for entrepreneurship, new businesses and new jobs this effort represents. Professor Scott Shane, Professor of Entrepreneurial Studies at Case Western Reserve University. Author of 'Illusions of Entrepreneurship: The Costly Myths That Entrepreneurs, Investors, and Policy Makers Live by.' 2009 winner of the Global Award for Entrepreneurship Research. Blog post. Case Western Graduate School of Business. Business as an Agent of World Benefit. About our work at the Wisconsin Innovation Kitchen. "What's important is getting the whole community more entrepreneurial." MIT program for entrepreneurship. Kiva.org Online lending for global entrepreneurs. We've been calling our emerging hub of food hubs in the Great Lakes region the Hubba Hubbas, of course. Our Hubba group met last week in Chicago. My friend Karen with Fresh Taste has lit the light of this organization and nurtured it. Much good is already underway. That said, the Hubba Hubbas are now starting to dance. I love this part of enterprise formation. From silence to melody. Something from nothing stuff. The Great Lakes Food Hub Network (Hubba Hubba) is a group of food hub practitioners dedicated to collaboratively integrating the values and practices of reciprocity with those of the marketplace. In doing so, we are creating a commons of resources and experience focused on community wealth creation, to which all contribute and from which all may benefit. Community wealth creation requires the implementation of business models that build multiple forms of capital: intellectual, social, financial, individual, political, natural and built. • Conducting ourselves as a learning community, which implies sharing what we learn as we develop new business practices, and organizing ourselves as a group capable of consulting to one another. We are intentional about expanding the network and will invite others to participate who share the values and commitments described above and who bring skills and resources that will strengthen the network. Our goal is to build a strong Great Lakes network reaching from Minneapolis-St Paul Minnesota to Rochester New York, with the assumption that we will develop relationships with similar networks in other regions of the country. We intend that the work we do will serve and inspire other networks. Many thanks to my friend Karen and Fresh Taste for helping seed and nurture our emerging Great Lakes Food Hub Network. Original hubba hubba post with links to Great Lakes food hub friends.